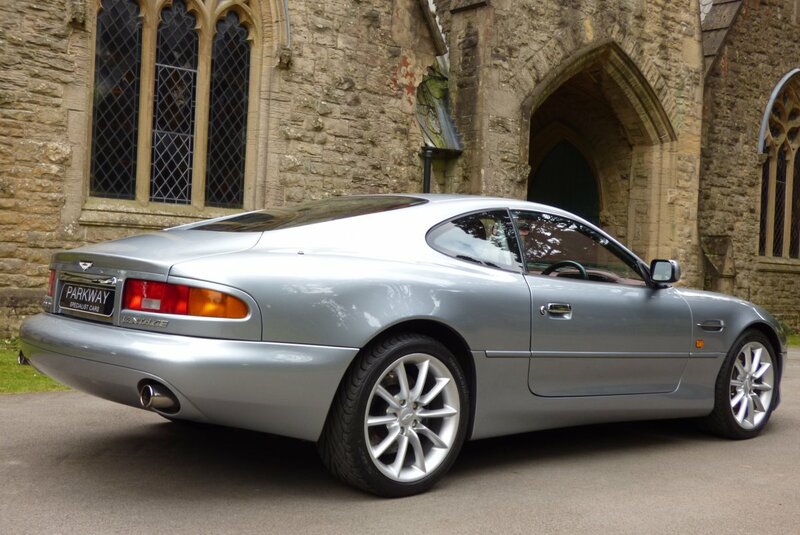 The Introduction Came In The Summer Of 1999 At The Geneva Motor Show And This Very Special Addition To The Company Line Up Was To Be An Instant Hit With The Motoring Press And Eager Buyers From Around The World, Due To The Aggressive & Imposing Styling, The Mighty V12 Engine That Produced A Rather Healthy 420 Brake Horse Power And Of Course The Hand Build First Class Luxury Refinements, That Was Made The Company Renowned Around The Globe. 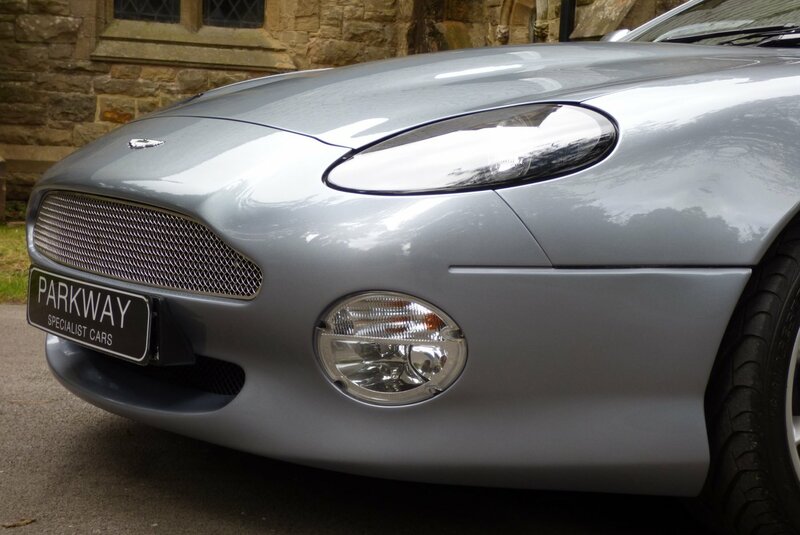 If We Fast Forward To 2017 This Beautiful Design Has Defiantly Become An Important And Integral Part Of The Company`s Long Standing Heritage, With Many New Enthusiastic Collectors Wanting To Acquire Their Own Part Of Historical Motoring History, With The Very Best Rare Examples Becoming Highly Interesting And Desirable To New And Existing Collections Worldwide. 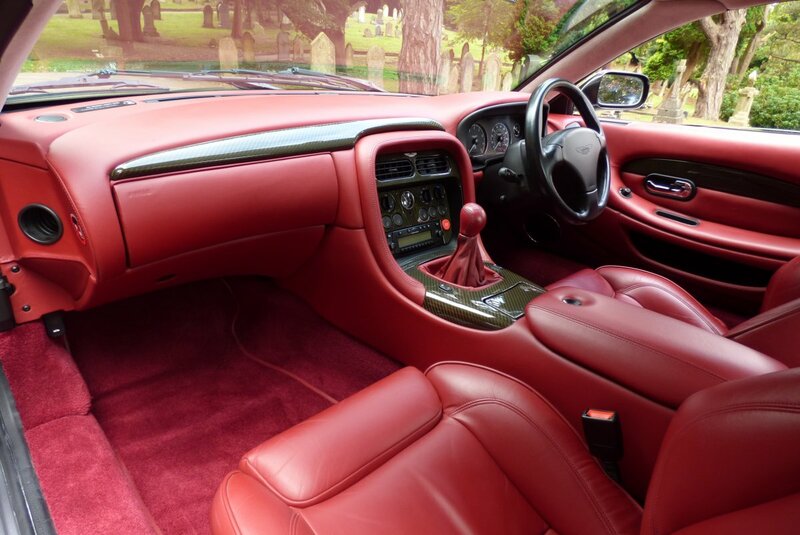 This Breathtaking Example Presented In Perfect Total Presentation, Should Be An Attractive Proposition To The Next Lucky Custodian, As All The Very Important Aspects Are Firmly In Place, Which Will Mean That In A Short Period Of Time, Our Vehicle Should Only Ever Become Even More Valuable As The Car Gets Ever Older. 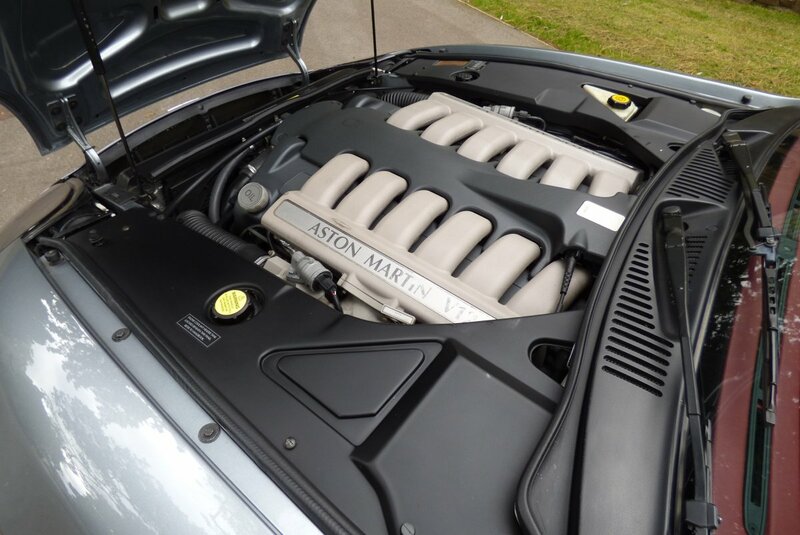 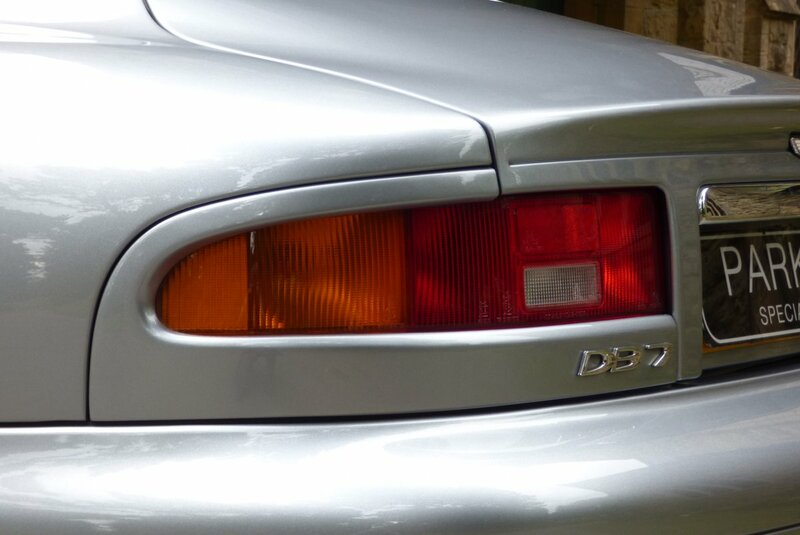 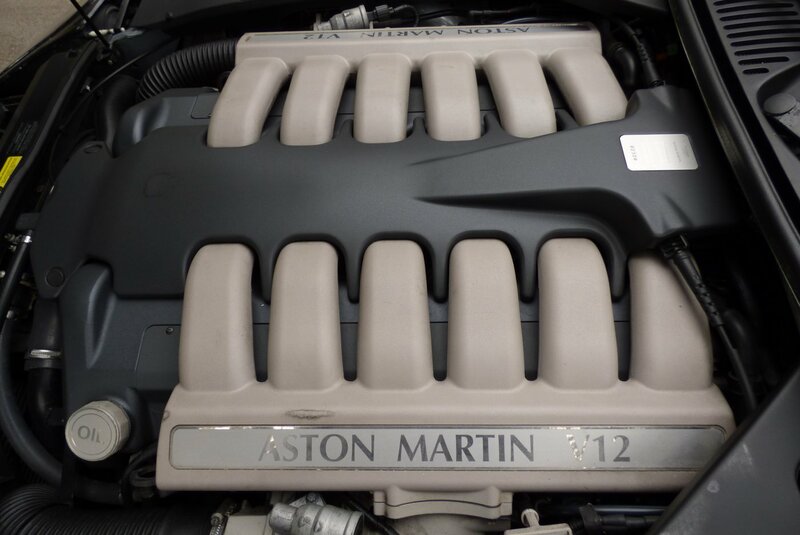 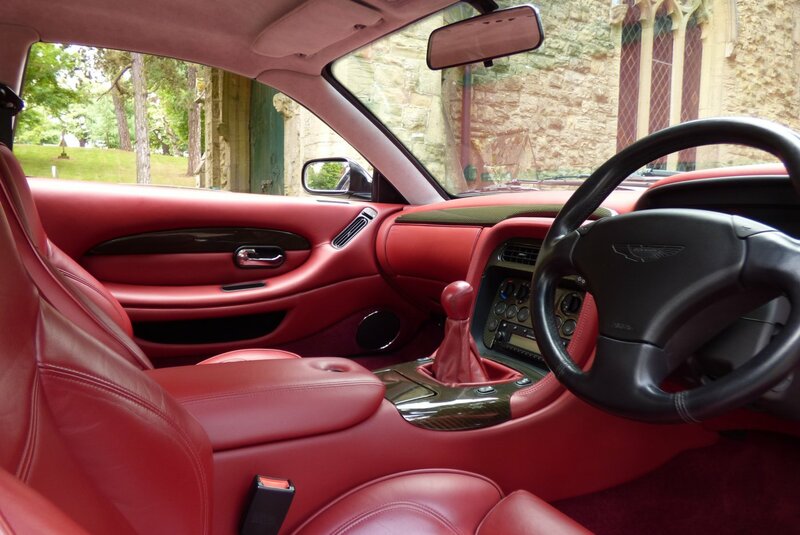 In The September Of 2001 This Remarkable Example Was Supplied By Lancaster Aston Martin To The First Private Keeper, Who At Time Of Build Decided To Opt For And Excellent Array Of Factory Options To Include The Rare Specification Of The Manual Transmission, With Only A Few Models Having This Marvellous Box Fitted By The Aston Martin Factory. 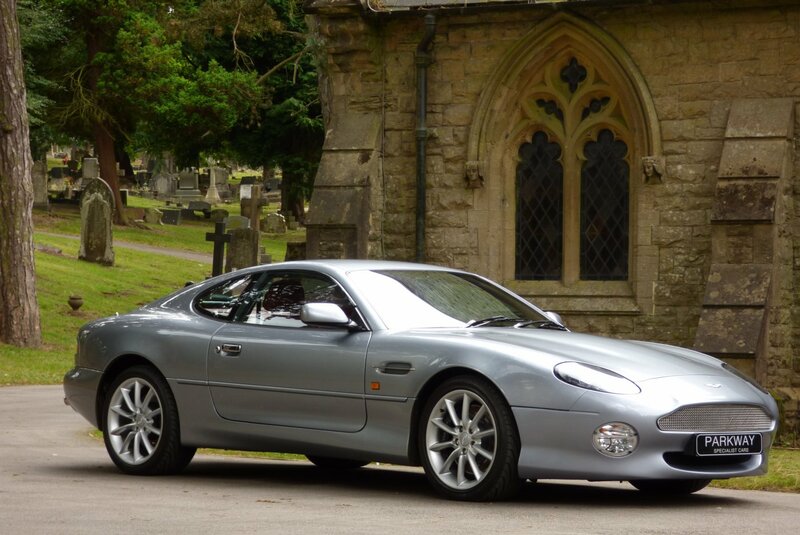 The First Keeper Kept The Car Until August 2003, When It Was Last Sold To The Second And Only Further Owner, Which Is Of Course Viewed To Be Very Rare, As Many Other Examples Did Tend To Change Hands More Readily. 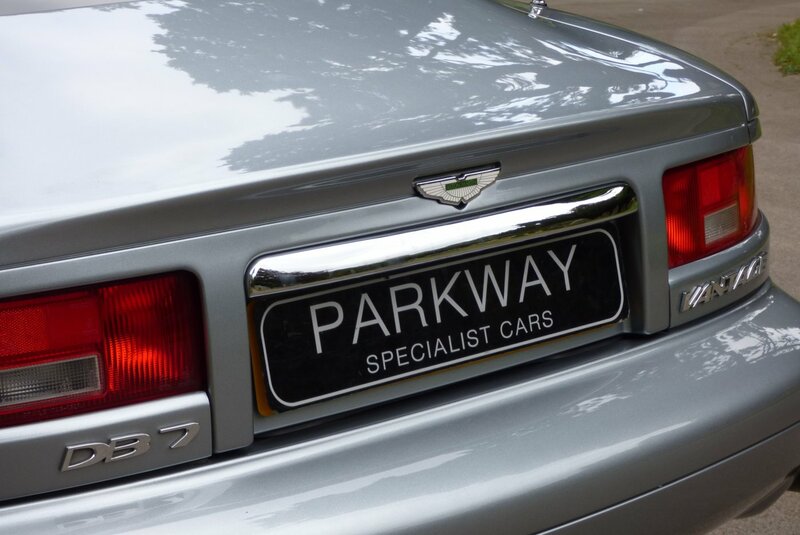 These Two Past Custodians Have Wisely Kept The Past Historical Service History To A Perfect Standard With The Car Only Ever Been Cared For By Aston Martin Main Dealers With Visits Logged At 85, 1617, 5199, 9939, 11132, 14842, 20048, 25510, 28550, 32615, 34799, 37464, 38894, 40612 & 42395 Miles, Which Is Also Fully Documented With An A4 Folder Listing Past Invoices That Will Validate The Cars Provenance And Miles Perfectly. 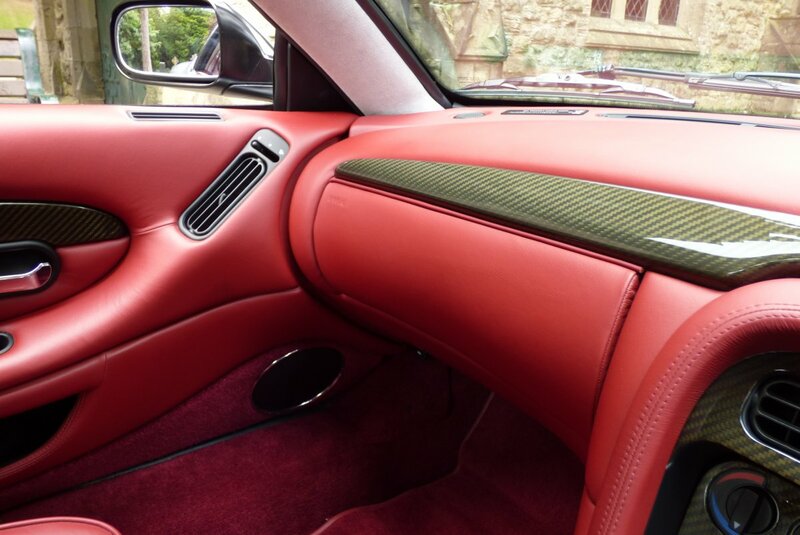 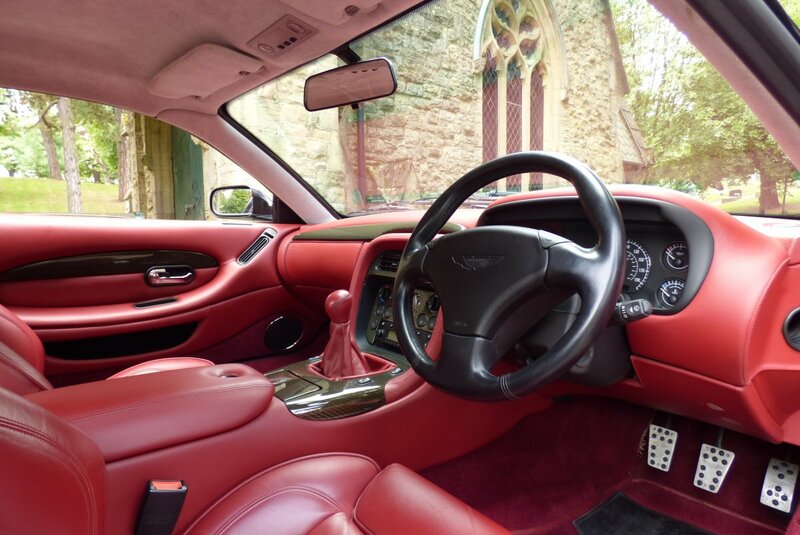 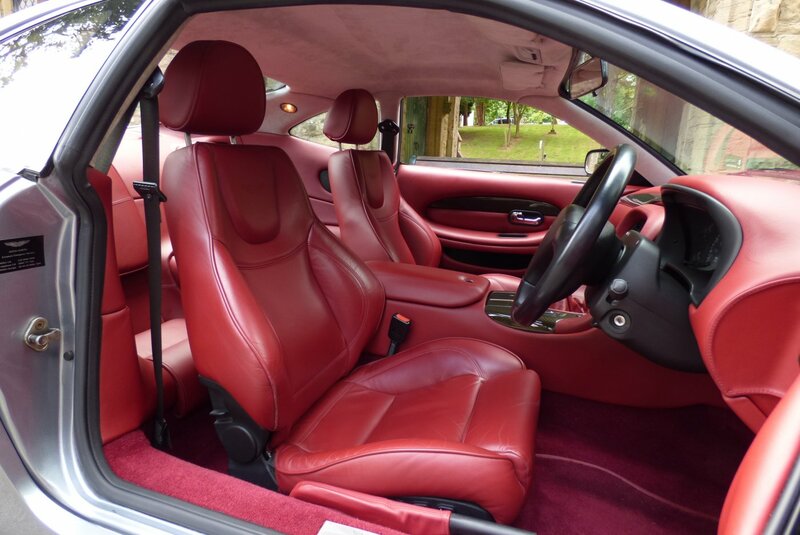 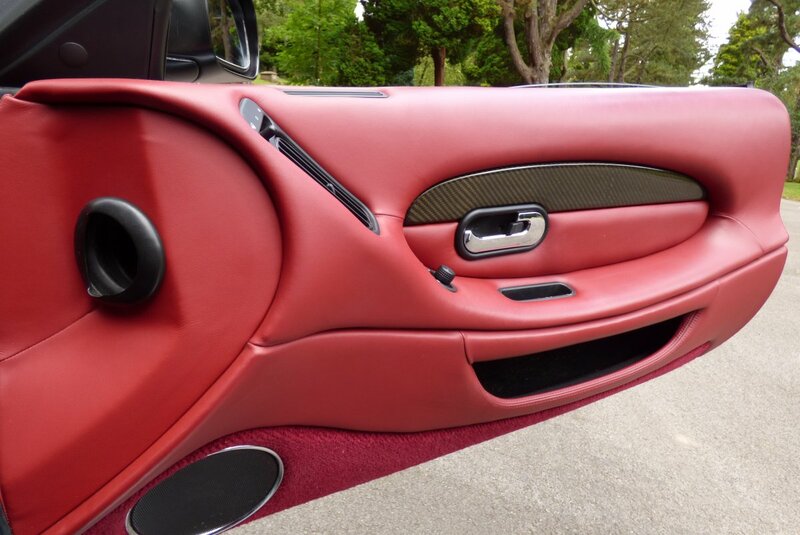 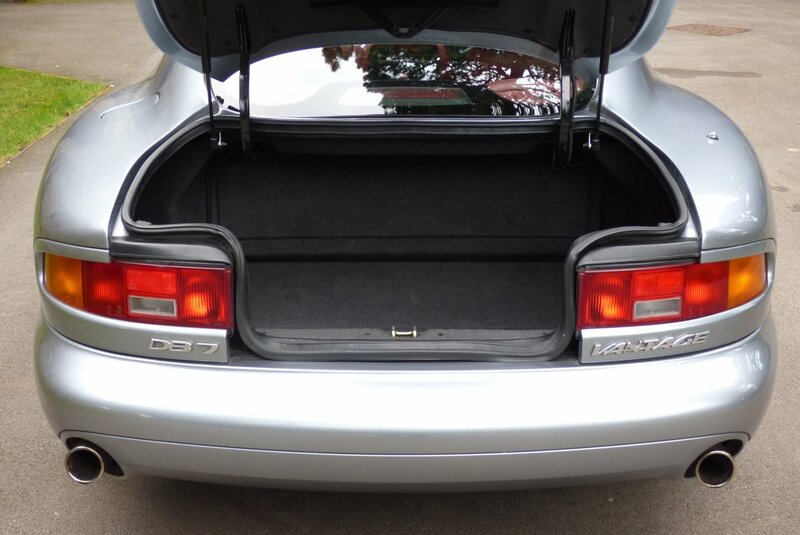 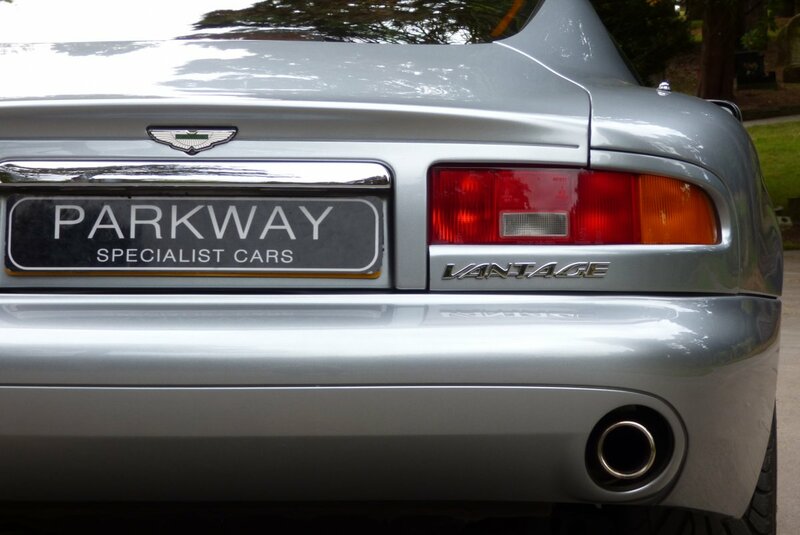 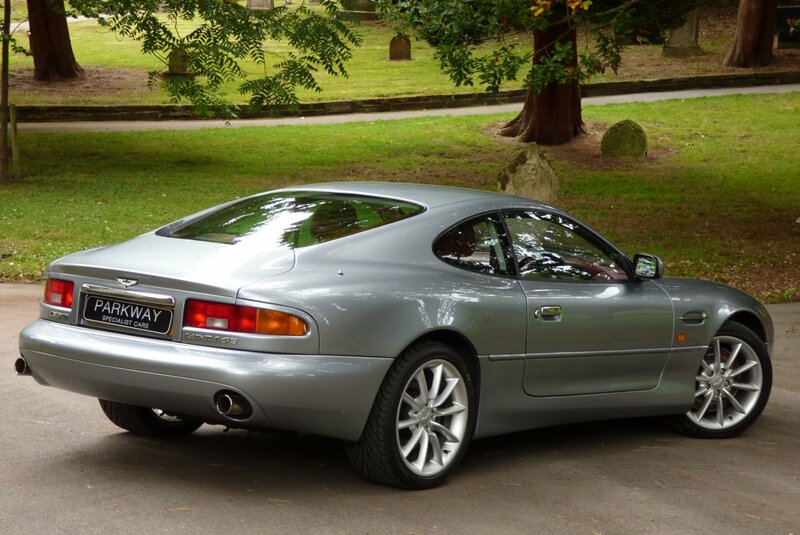  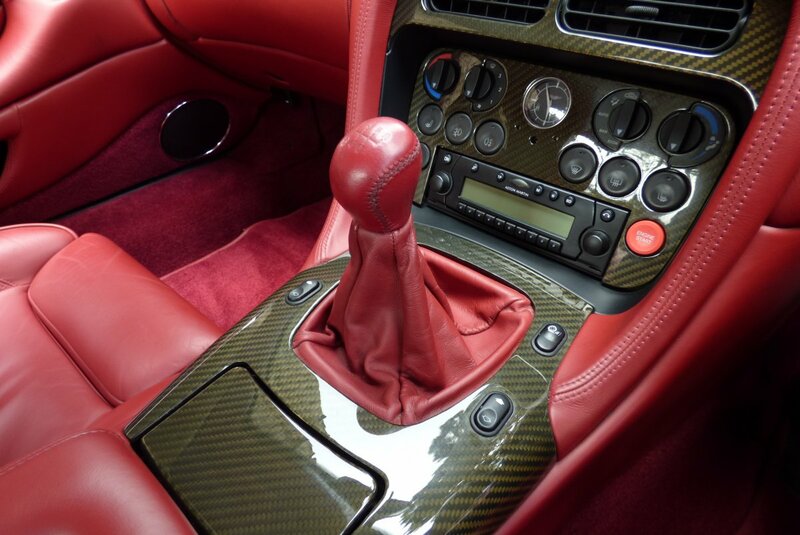 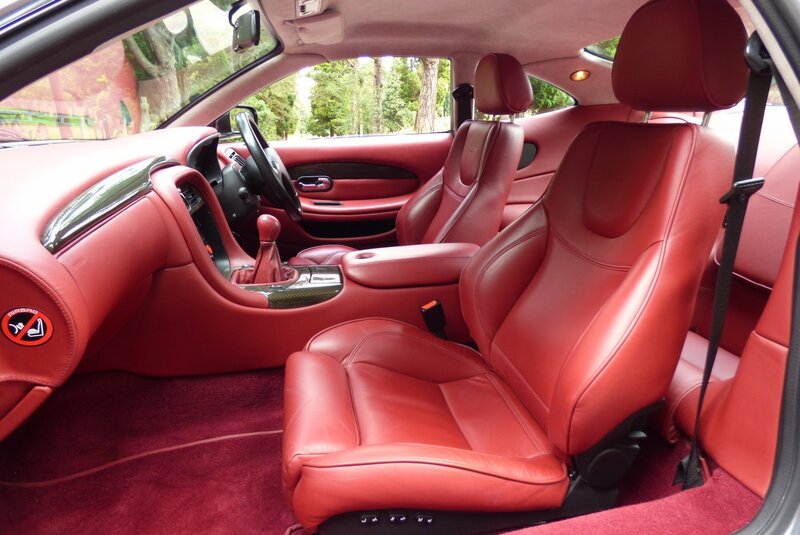 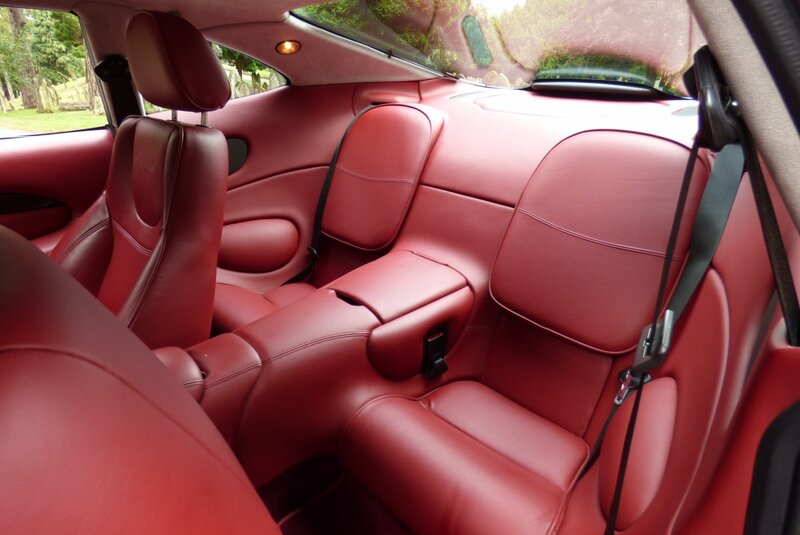 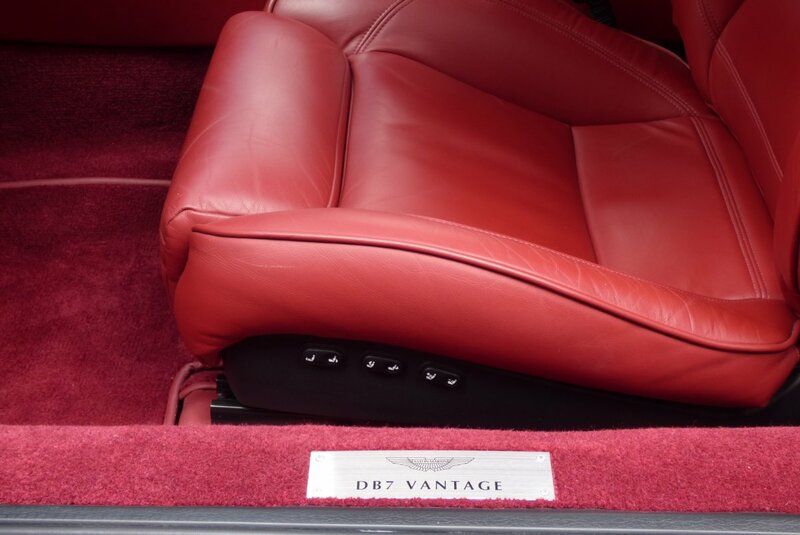 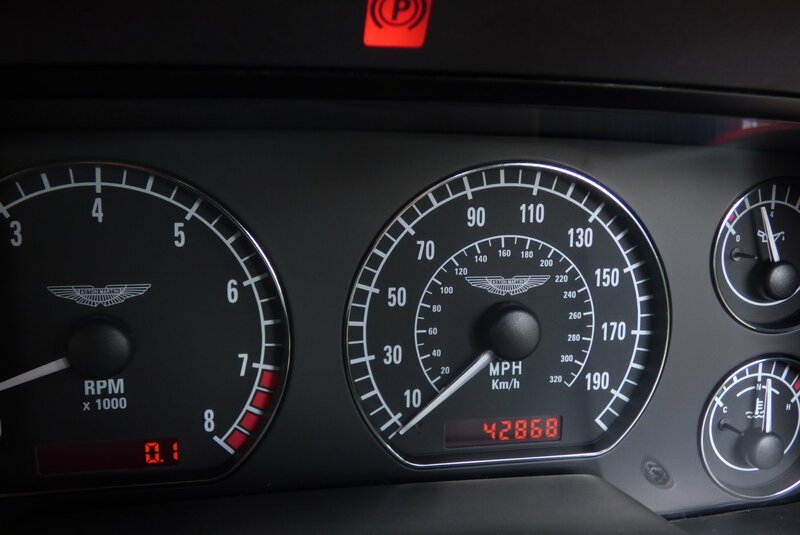 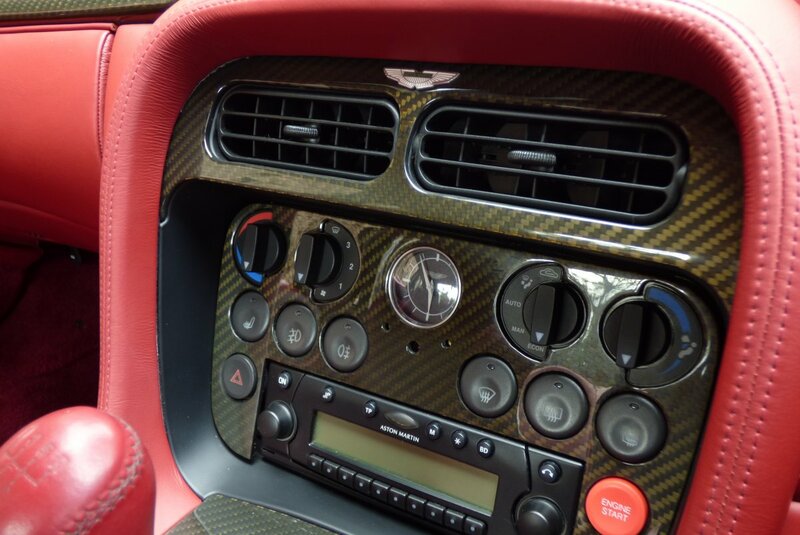 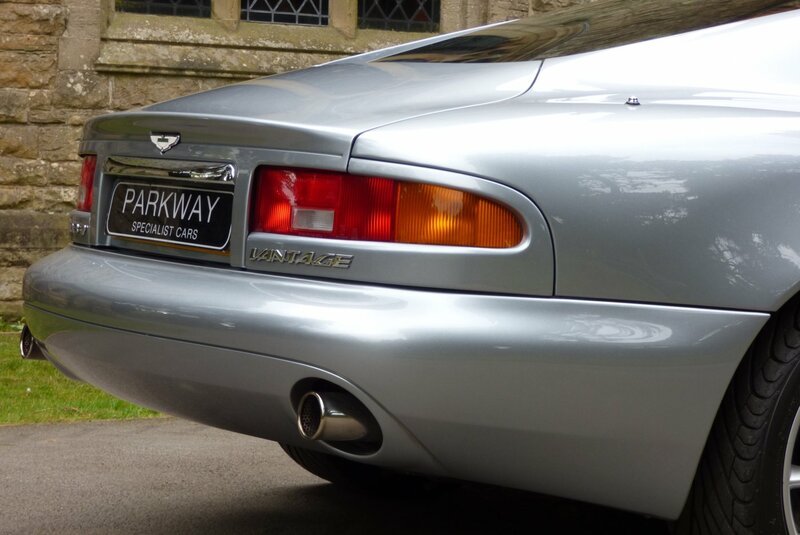 Once Sold The Car Will Be Offered For Sale With The Entire Booklet Pack Displayed In The Green Leather Bound Aston Martin Folder, A Fully Cleared Hpi Certificate And A Fully Functional Key Set, All Ready For The Next Keeper To Enjoy And Cherish. 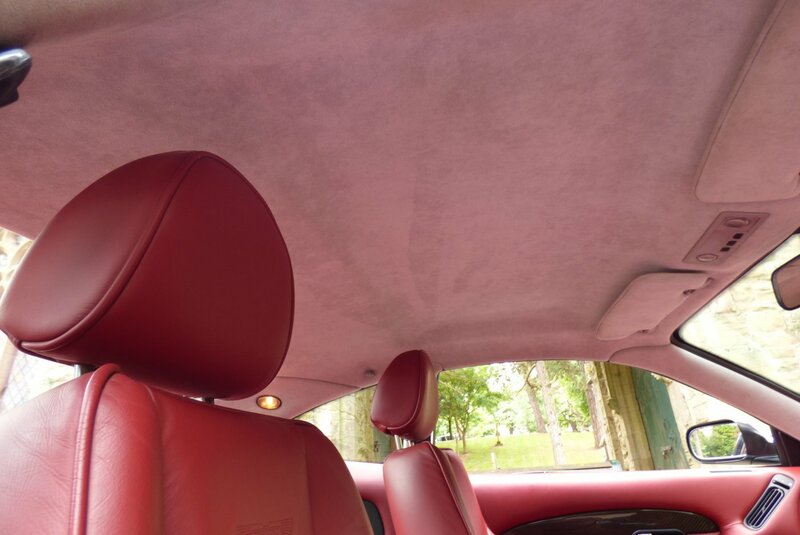 The Total Cabin Offers A Sense Of Pure Luxury Mixed With An Air Of Capable Performance, With The Build Team Only Using A Selection Of The Finest Leather Hides And Materials Available, To Create An Interior That Will Delight The Driver And Passengers, Time And Time Again. 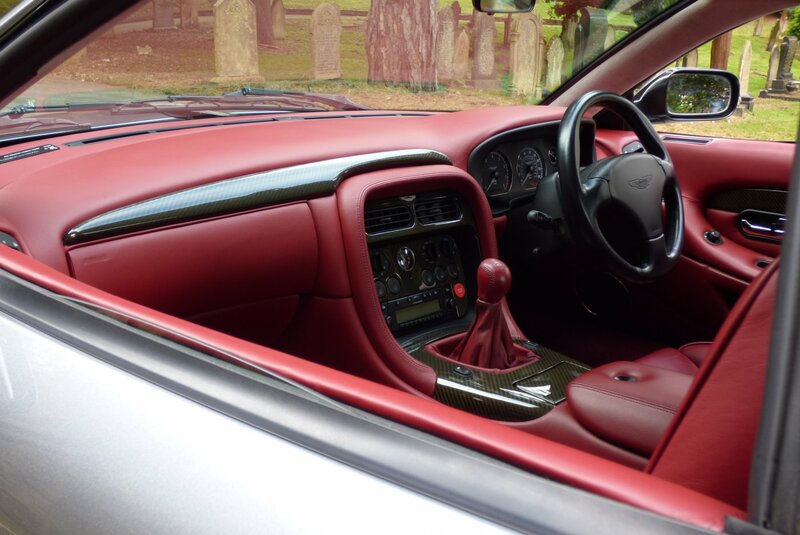 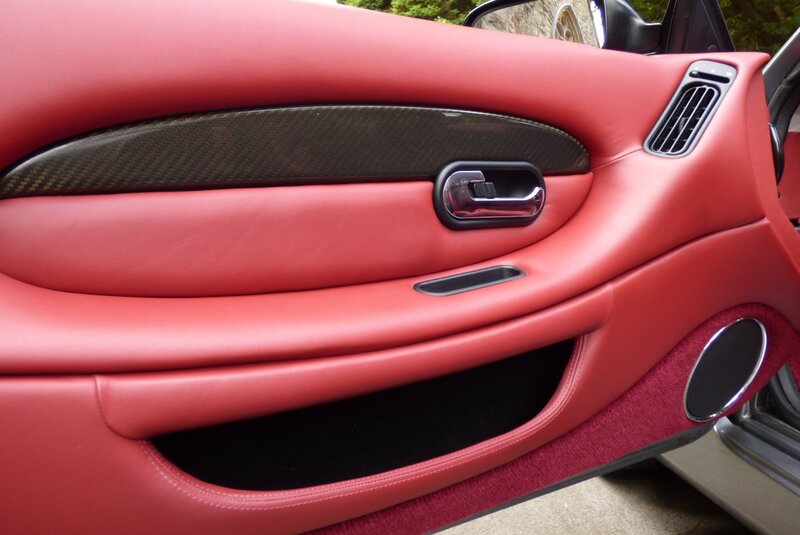 From Factory Build This Example Is Presented With Aston Martin Embossed Claret Red Leather Sport Seats Beautifully Complemented With Claret Red Twin Needle Stitch Detail, Claret Red Carpets, The Claret Red Leather Trimmed Dash & Door Cards That Wraps Around The Dramatic Environment, The Three Spoke Aston Martin Embossed Obsidian Black Leather Steering Wheel, The Tailors Light Grey Suede Roof Lining And Finished With Carbon Fibre Veneers That Finalise This Inviting Internal Space. 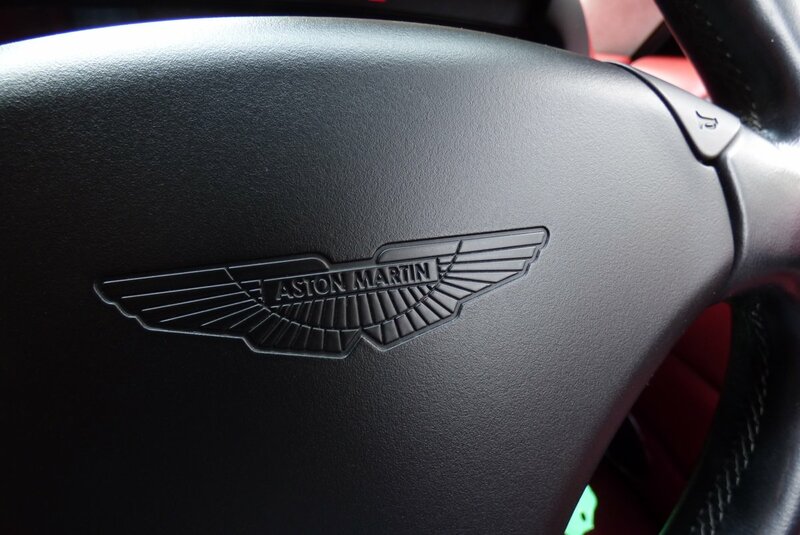 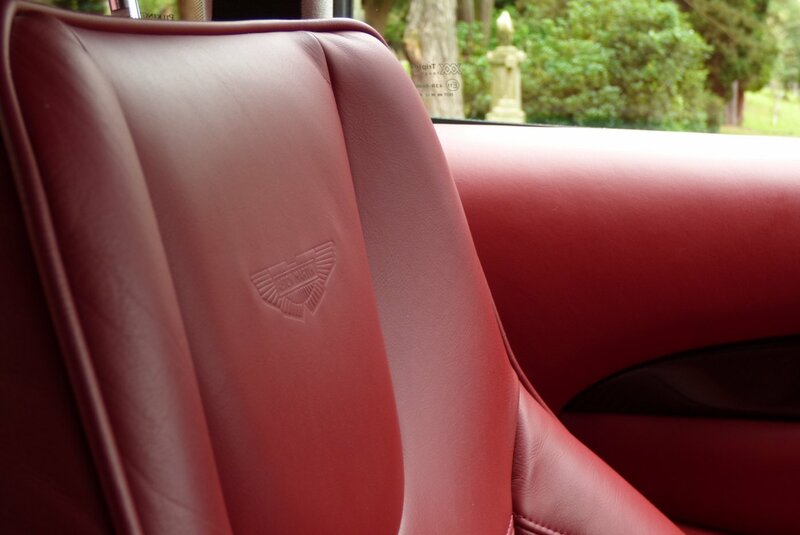 The Interior Is The Perfect Place To Be With The Attention To Detail Being Typically Aston Martin, So Every Trip, No Matter The Distance Is Highly Enjoyable On Every Occasion. 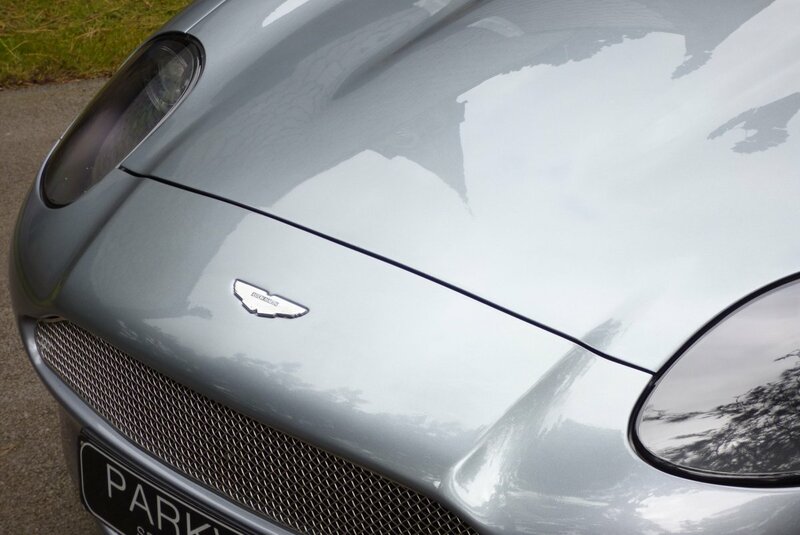 The Body Shape And Design Is Typically Aston Martin From Every Angle And At The Time Of Creation, Set New Standards For Styling. 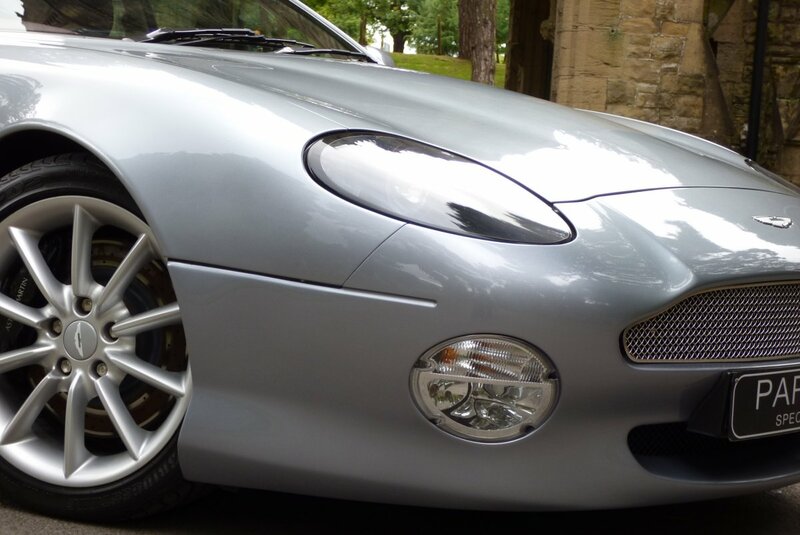 This Example From Factory Build Was Opted In The Desirable Out Of Range Ferrari Grigio Titanio Grey Metallic Paint, Which Demonstrates The Vehicles Aggressive Curves And Sublime Exterior Lines, So Very Well Indeed. 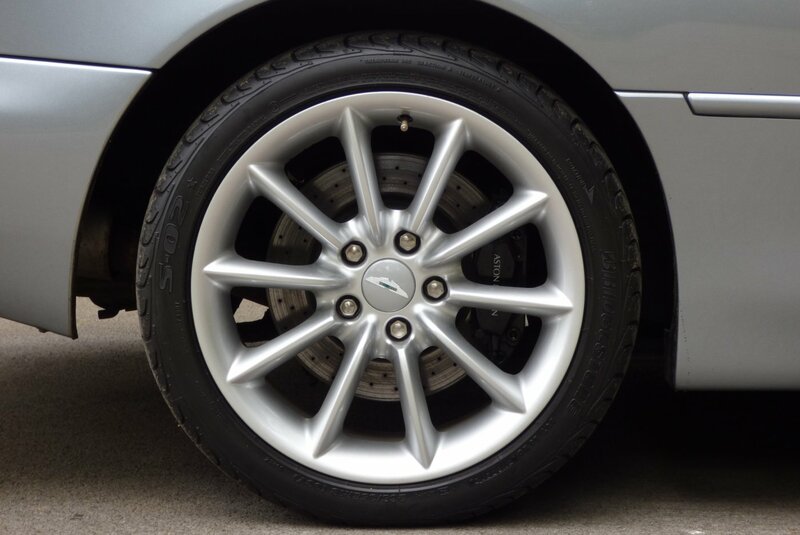 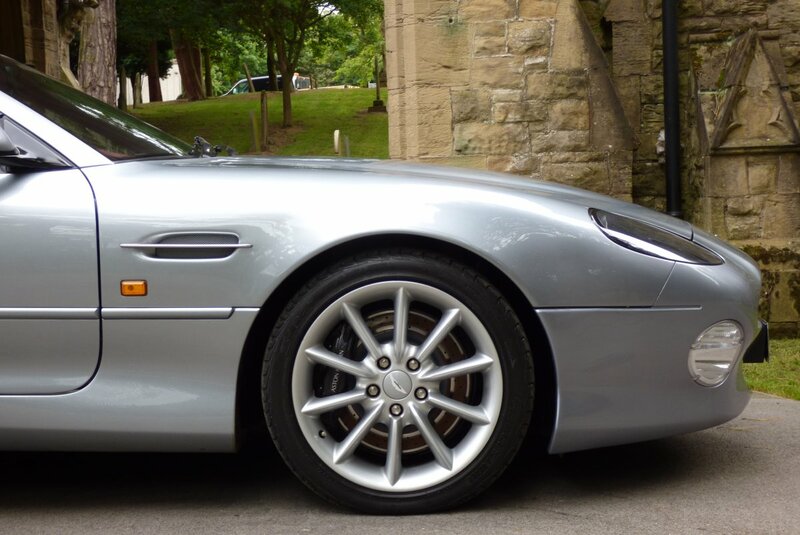 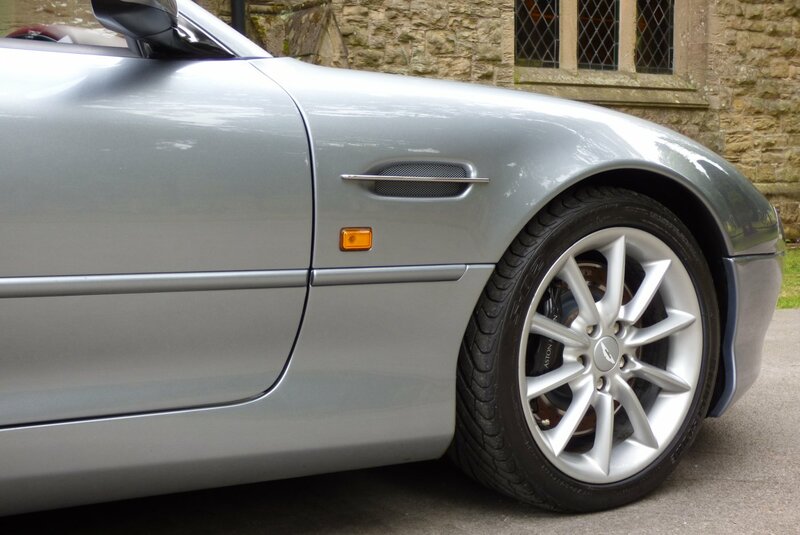 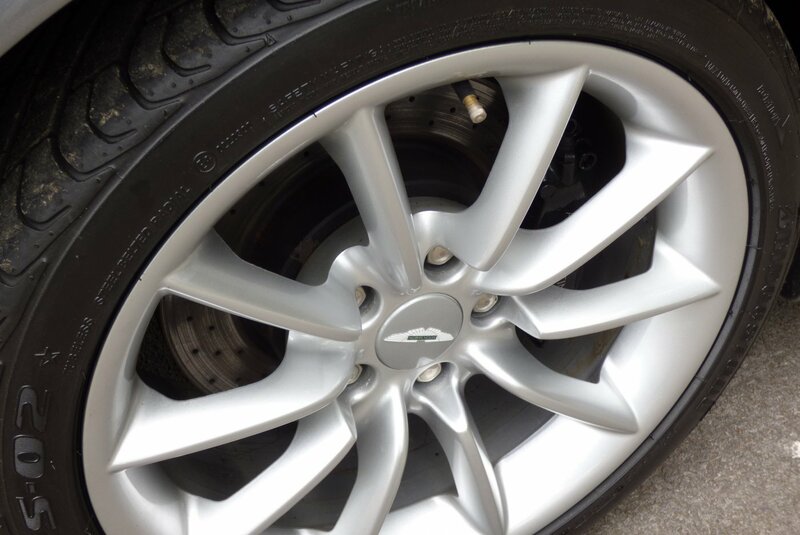 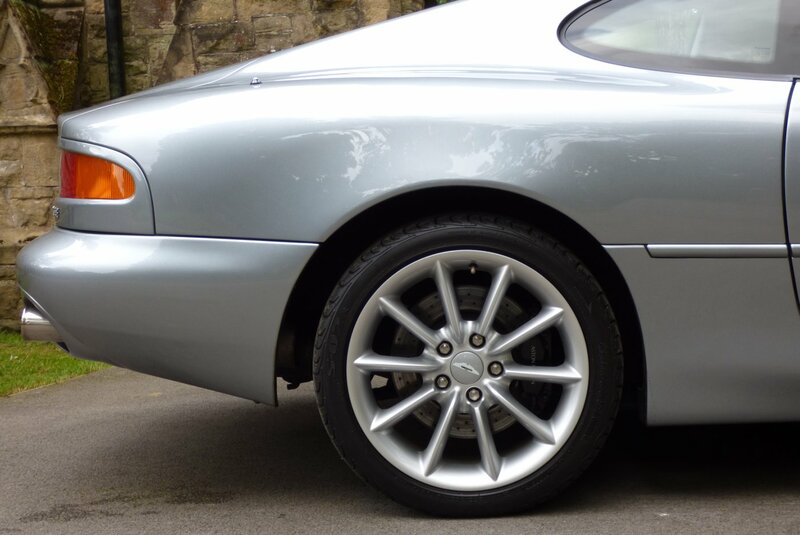 Further Detailing Is Offered With The Unmarked Silver Finish 18" Ten Spoke Alloy Wheels Which All Sit On Branded Tyres, The Aston Martin Embossed Black Brake Calipers, The Bright Silver Mesh Front Grille, The Chromed Twinned Exhaust Tips, Further Factory Subtle Chromed Embellishments And Decorated With The World Famous Aston Martin Motifs. 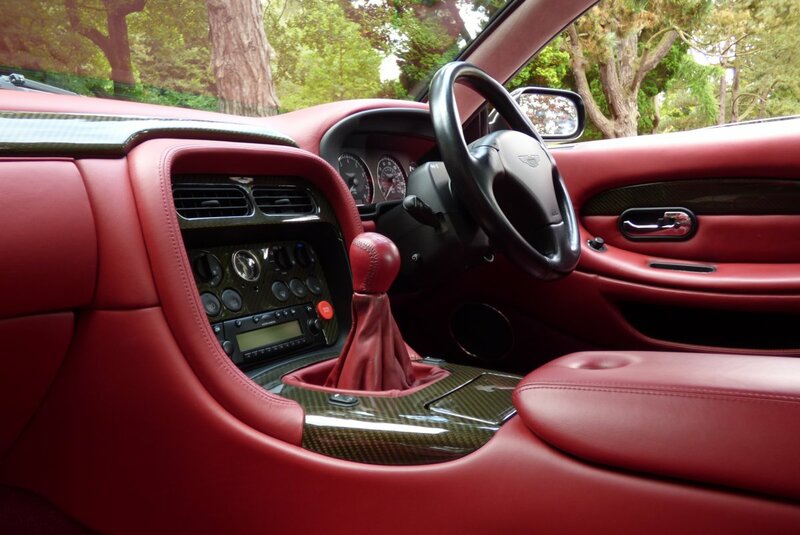 The Car Looks Beautiful From Every Glance And Would Be Well Suited Outside A Kensington Town House Or Cruising Through Picturesque Countryside. 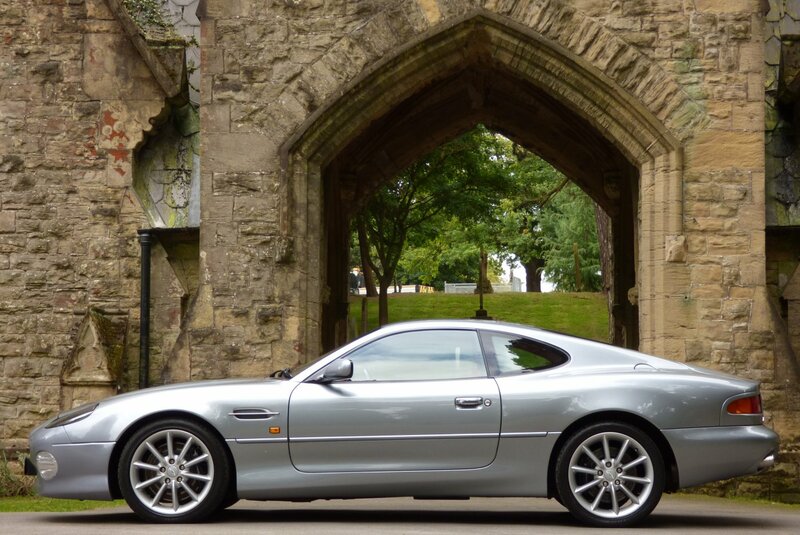 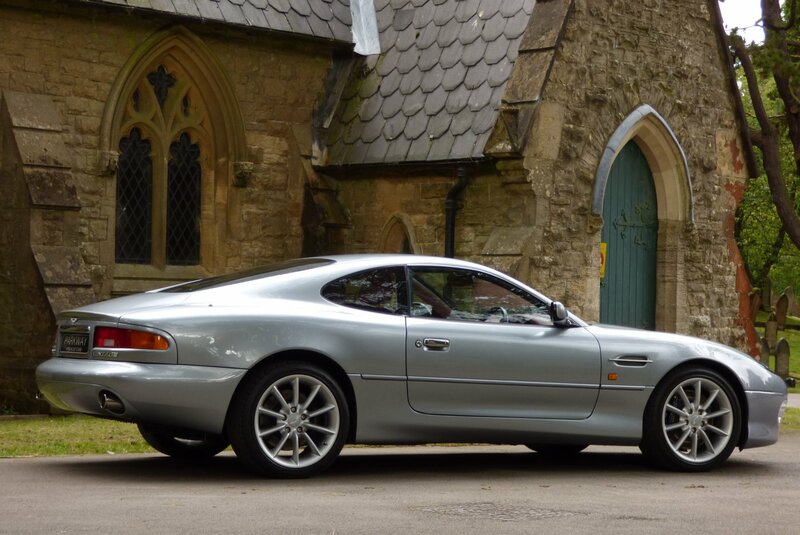 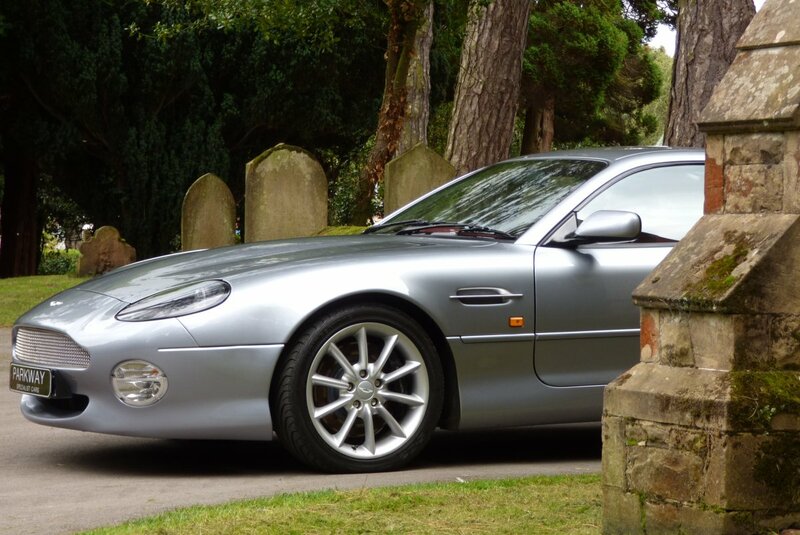 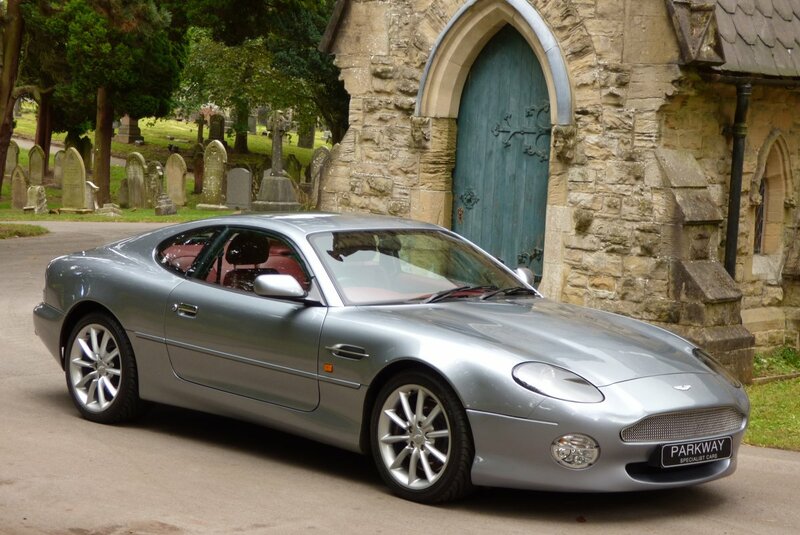 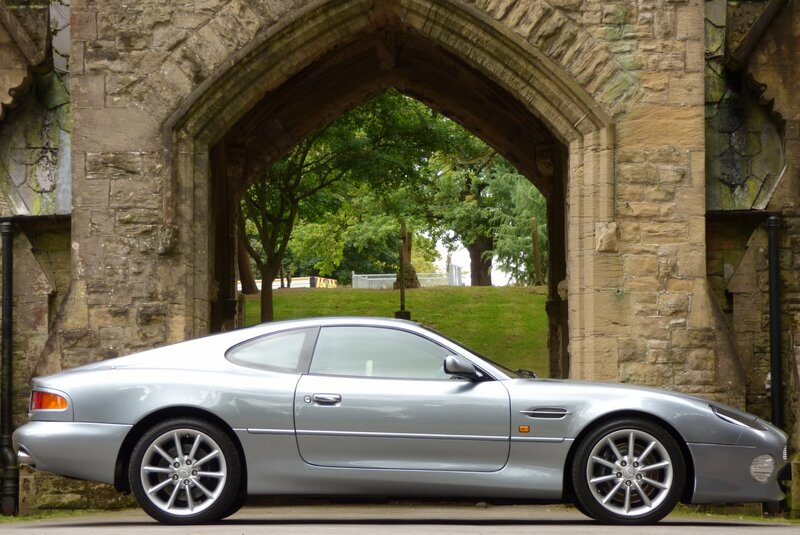 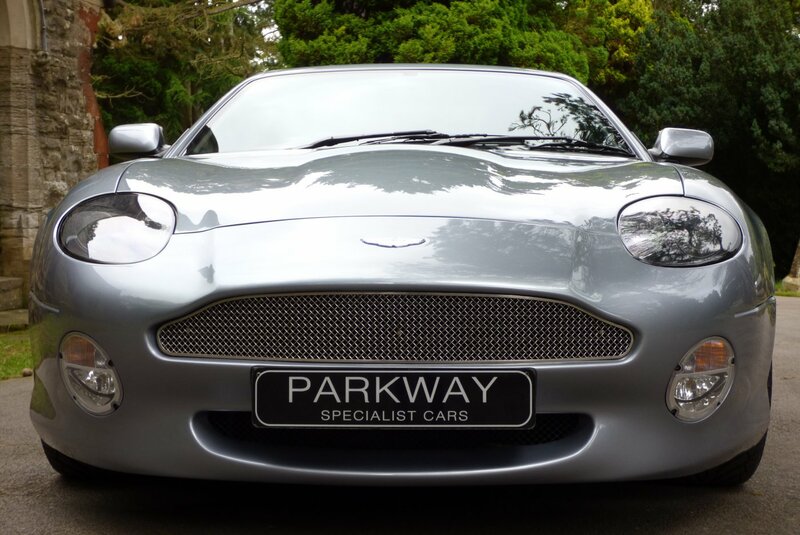 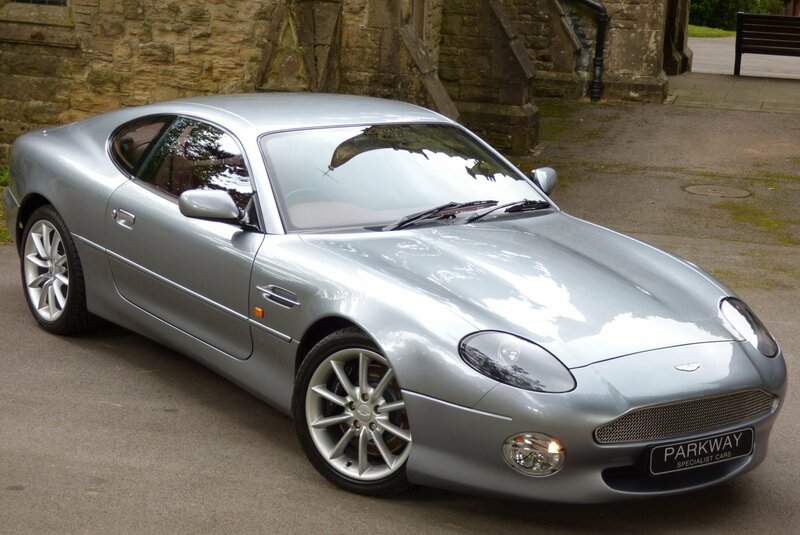 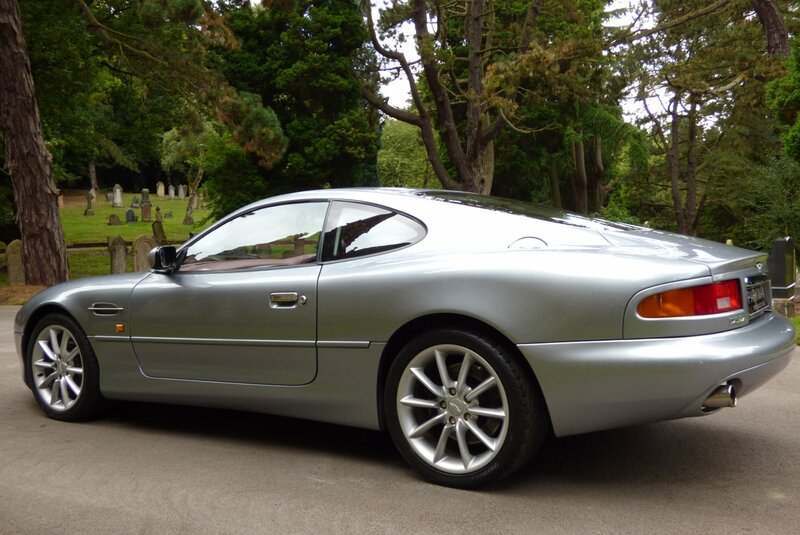 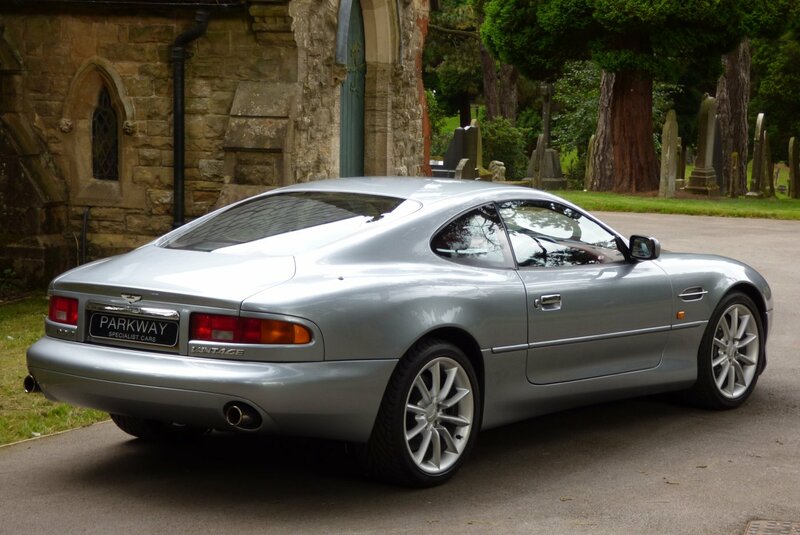 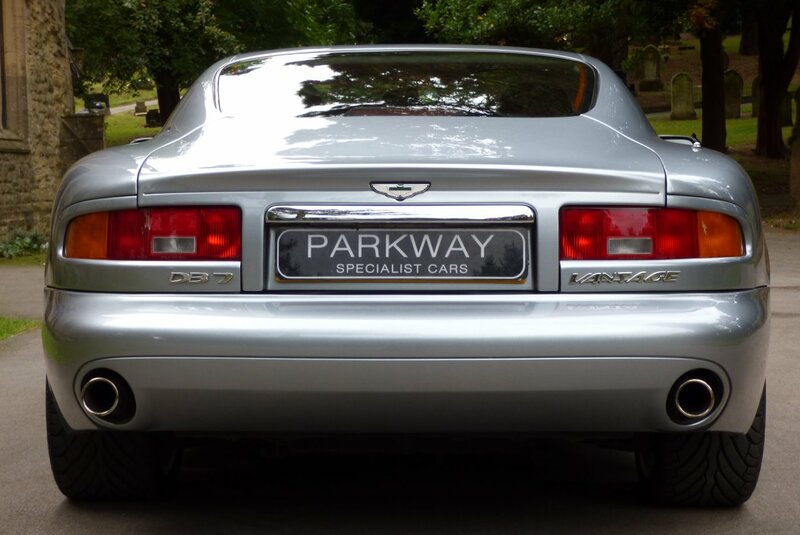 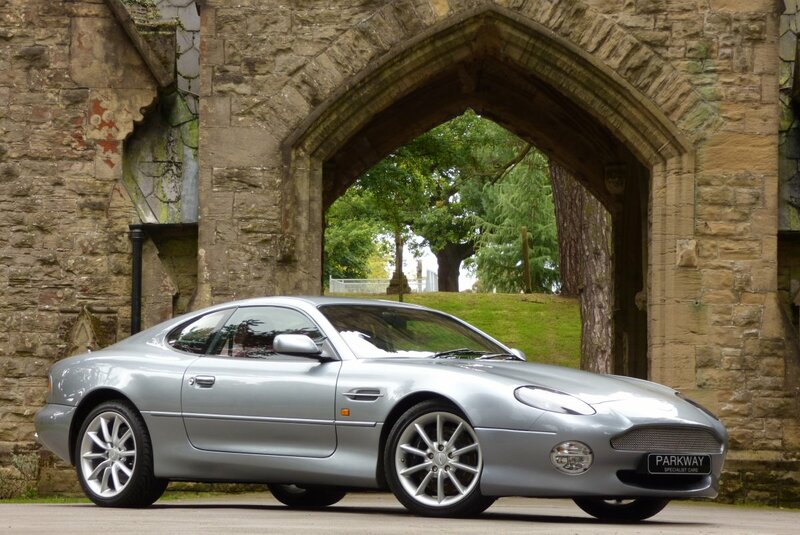 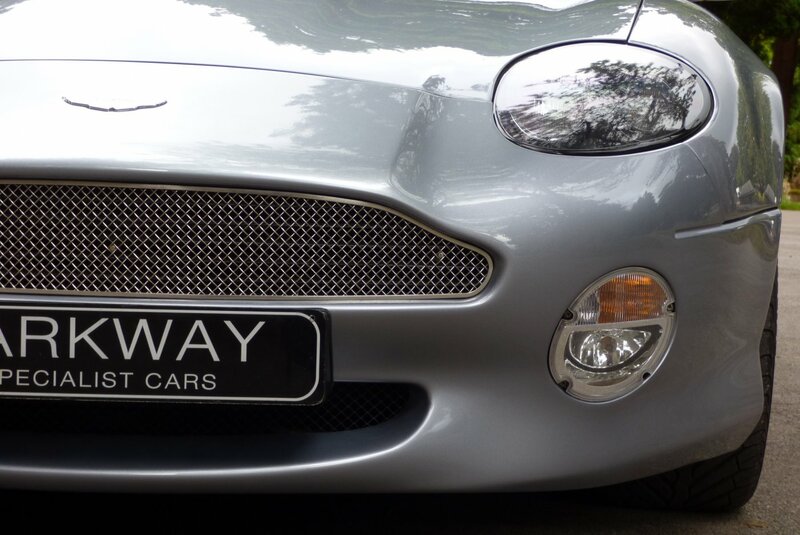 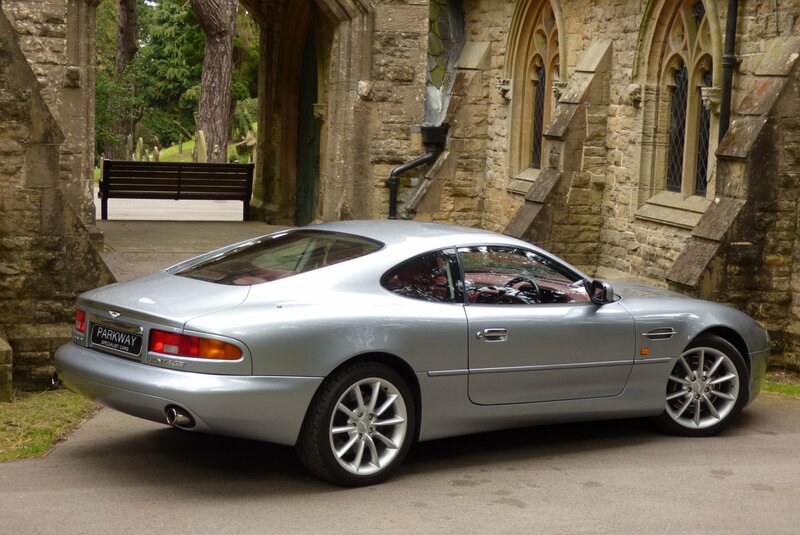 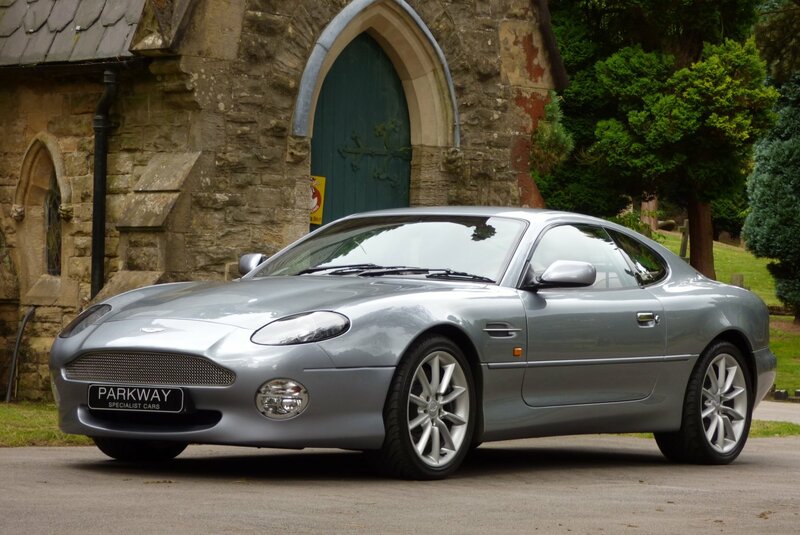 This Remarkable Two Private Keeper Car From Factory Build, Includes Aston Martin Specification Of Air Conditioning, Unmarked 18" Ten Spoke Alloy Wheels Which All Sit On Branded Tyres, Variable Heated Front Seats, Embossed Aston Martin Steel Pedal Set, Electric Front Seating, DB7 Steel Door Plaques, Three Spoke Obsidian Black Leather Trimmed Steering Wheel, Tailors Grey Suede Roof Lining, Bright Silver Mesh Front Grille, Chromed Twin Exhaust System With Sport Back Boxes, Aston Martin Embossed Black Brake Calipers, Becker/Aston Martin Sound System With Multi Change CD System, Red Push Button Start, Xenon Headlights, Remote Central Locking With Alarm & Vehicle Tracking System, Electric Windows & Mirrors And So Much More. 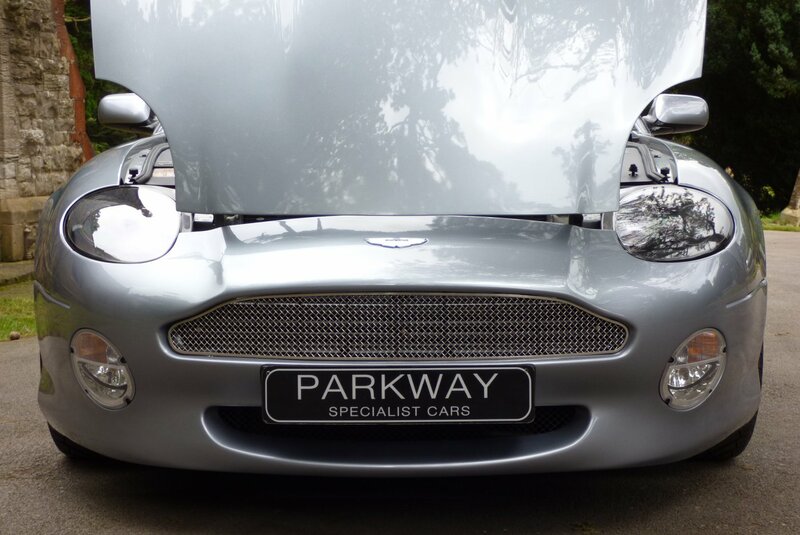 This Exceptional Car Also Boasts The Entire Booklet Packs, Is Fully Hpi Cleared And Comes With A Fully Functional Key Set.